The effects of climate change may be some of the biggest threats facing whales and dolphins today. The climate is changing fast: so fast that some whale and dolphin populations may be unable to adapt. Changes in sea temperature, freshening of seawater, acidification, sea level rise, loss of icy polar habitats and the decline of food sources are just some of the many issues posed by climate change. Climate change is the process of the earth becoming warmer, making our weather more extreme and unpredictable. Although climate change is a natural process, evidence shows that the Earth is warming more rapidly than at any other time, causing significant changes to the planet’s climate. The main cause of climate change is attributed to the massive amounts of gases, particularly carbon dioxide, being pumped into the atmosphere through the burning of fossil fuels. Large amounts of fossil fuels such as oil, gas and coal have been burnt for centuries which we use to power our factories, warm and light our homes and run our cars. These increasing amounts of these ‘greenhouse gases’ mean the atmosphere is trapping more heat and so it is that the planet is warming up, often called the ‘greenhouse effect’. The greenhouse effect is in fact a natural phenomenon caused by the atmosphere and which helps to keep the Earth warm - you might like to think of the atmosphere as a blanket around the earth, keeping a lot of the heat in. However, in the last centuries we have significantly changed the atmosphere, putting extra amounts of ‘greenhouse gases’ into it, therefore the blanket has become thicker and the temperature underneath is becoming dangerously hot. How do these gases trap in heat? Light and warmth on earth comes almost exclusively from the sun. What happens to this arriving solar radiation - including how much of it is bounced back into space - depends on a number of things, including the composition of gases in the atmosphere and how reflective the Earth’s surface is (for example, ice is more reflective than ploughed fields). At the same time this increased warmth is melting the polar ice cover - so there is less ice to reflect light away and this too is increasing the warming effect. In addition vast areas of forests are being destroyed, which are a natural ‘carbon sink’ by taking carbon dioxide out of the atmosphere and producing oxygen. It sounds a bit odd, but whales are essential in combatting climate change! Whales themselves play a key part in helping to combat this threat through their role in the marine ecosystem. 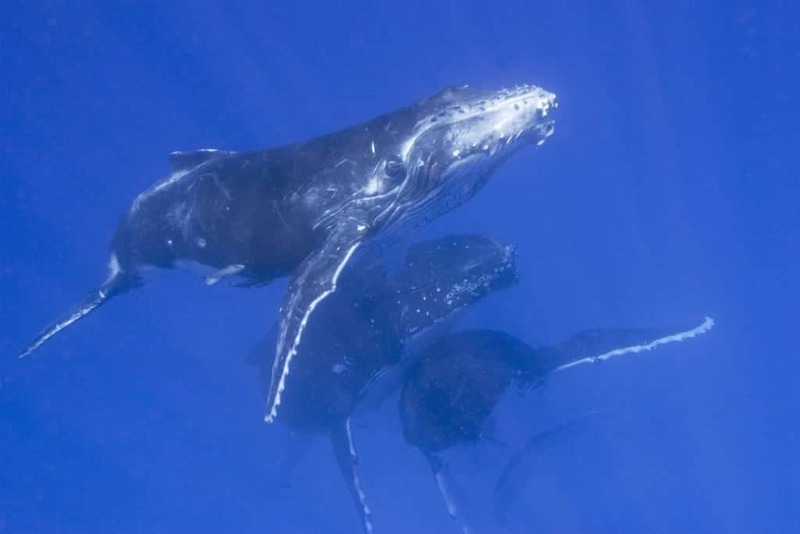 The nutrients whales circulate as they migrate across the oceans and from diving between the surface and the ocean depths (known as the ‘whale pump’), as well as the nutrients that are released through their poo are essential to the growth of phytoplankton and healthy marine ecosystems. Whales play a vital role in the marine ecosystem where they help provide up to 50% of our oxygen, combat climate change and sustain fish stocks. Researchers estimate that because of whaling, large whales now store approximately nine million tonnes less carbon than before large-scale whaling. 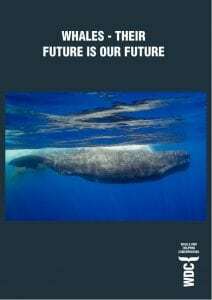 If you’d like to know more about how whales help fight climate change, please read our free report, which includes full references to scientific papers. How does climate change threaten whales, dolphins and porpoises? Climate change is a fundamental threat to whales, dolphins and porpoises. There is unequivocal evidence that climate change is happening fast: so fast that some whale and dolphin populations may be unable to adapt. The main impacts on whales, dolphins and porpoises is through the loss of habitat, changes in prey availability and potential increased competition from range expansions of other species. Other impacts include changes in abundance, distribution, timing and range of migration, reproductive success and ultimately survival. It is unclear to what extent whales, dolphins and porpoises will be able to adapt to the rate of climate change predicted, in some cases such range shifts will not be possible. For example, the northern Indian Ocean is fringed by land, limiting the ability of species to move northwards into cooler habitat as waters warm. Join our team - no matter which way you choose, your commitment helps whales, dolphins, and our shared planet. Save the whales, save the world. Adopt a whale and help us protect these amazing creatures. Your gifts help us take action for whales and dolphins. Support WDC by shopping for yourself or a friend.